Beyond UA – Ursuline Academy – Celebrating 125 Years! 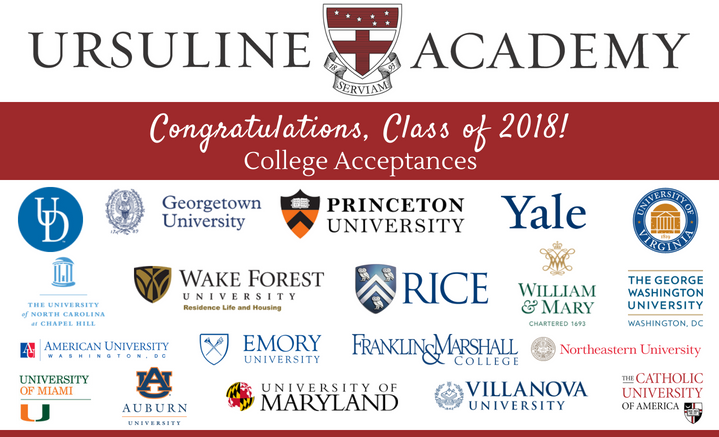 Throughout the school year, Ursuline Academy hosts approximately 100 college representatives from across the country and abroad. Upper School students are encouraged to meet with these representatives to get a more in depth understanding of the colleges they are interested in. Every five years, graduating classes of Ursuline Academy are invited back to celebrate reunions. The alumnae reconnect with old friends and get to experience exciting new changes to campus during a fun-filled weekend. Every January, the graduates from the previous year are invited back to campus to share their first semester college experience with members of the current senior class.